Here’s an excerpt of a recent conversation as an example of how my husband and I share feelings…Me: “I feel like you never listen to me!” Him: “I feel like you always criticize me!” Me: “See! You just didn’t listen to me! I feel like you don’t even care.” Him: “See! Another thing I said wrong. I feel like you just want me to be the bad guy.” There must be a better way for us to communicate. Right? Yep, there sure is. We’ve written before about how couples therapy at Emily Cook Therapy in Bethesda, MD helps improve communication, like how to postpone persuasion, take a pause, and replace the four horsemen with antidotes. But there is something else I notice in your excerpted conversation–neither of you actually shared any feelings! The phrase “I feel like you…” was followed by an opinion, an accusation, or a retort. When you and your husband say “I feel” and don’t follow it with a feeling word, you lose the opportunity to tune into something important. Over time, both of you will become desensitized to the phrase “I feel” by assuming what comes next is going to sting. I think it’s a habit formed from trying to soften what we’re about to say, but it’s a backdoor way to get your partner to listen. 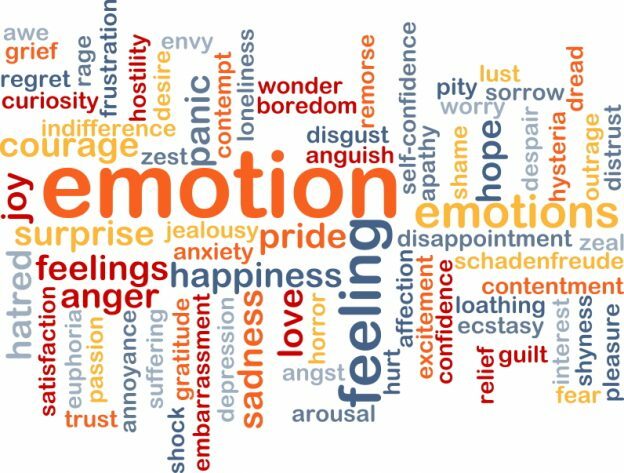 While there are thousands of feeling words, even just focusing on the six primary emotions indicates that our feelings are important, vital pieces of information. Fear motivates us to survive physical or emotional threats. Anger motivates us to protect and defend. Sadness motivates us to grieve and seek comfort. Surprise motivates us to pay attention. Guilt (different than shame) motivates us to make amends and learn from relational mistakes. Joy motivates us to celebrate and connect. Try to catch yourselves using the phrase “I feel like you” and replace it with “I feel [a feeling].” What would it be like to protect that phrase, only using it to convey feelings? How would sharing feelings motivate the other person to respond in a way that promotes connection? You: I feel sad. When you’re looking at your phone while I’m talking to you, I feel unimportant. Him: I’m sorry I was distracted when you were talking. You are important. Can you tell me again? Him: I feel misunderstood. When you’re upset with me I only hear about what I’m doing wrong and then I feel defensive. You: I know my frustration makes my complaints turn into criticisms. I do appreciate you and will try to stop accusing you of things. Need help catching yourself saying “I feel like you” instead of sharing feelings with your partner? Want help practicing how to communicate in more healthy ways? Call an experienced couples therapist in Bethesda, MD today. Emily Cook Therapy can help!